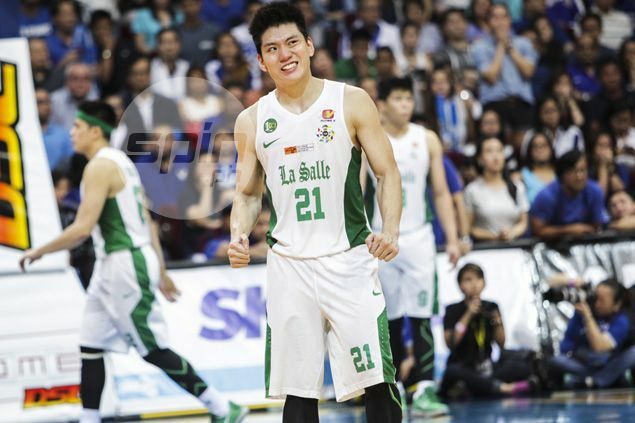 AFTER missing the chance to play for the Gilas cadets in last year’s Southeast Asian Games, La Salle star Jeron Teng will lead the Mighty Sports Apparels-Philippine squad that will see action in the 2016 Jones Cup from July 23-30 in Taiwan. The do-it-all forward will be one of the stalwarts of Mighty, which will fly the flag in the annual tournament in the absence of the PBA-backed Gilas 4.0 that is in the thick of preparations for a bigger mission – the Olympic Qualifying Tournament in Manila. Aside from the 6-foot-3 Teng, other local players tapped to play for the Mighty Sports Apparels-PH squad are former Xavier School standouts Ty Tang, Jeric Teng and Gab Banal and ex-Ateneo star Von Pessumal. Also being eyed to beef up the squad are Kiefer Ravena and Kevin Ferrer of Gilas Cadets and Mike Tolomia and Mac Belo of Phoenix. University of the Philippines coach Bo Perasol has been tapped by Mighty Sports Apparels President Dr. John Sy to call the shots for team that is tasked to regain the crown that Gilas won four years ago. Perasol will be assisted by Charles Tiu, Angelo Wongchuking with Jean Alabanza as team manager. The team will have former Alaska import Rob Dozier and Rain or Shine’s Wendell McKines as reinforcements. Asean Basketball League (ABL) standout Jason Brickman, a Fil-Am, is also on the team's radar, according to Alabanza. “They are the best available players around because most of the players we want have commitments to PBA D-League and to their respective schools,” said Alabanza.